Yesterday, I fell in love with film and literature all over again when I watched the new “The Great Gatsby.” In high school, I read the novel and watched the old movie with Robert Redford, but wasn’t yet at a place in life where I could truly appreciate or comprehend it. After four and a half years of living in Los Angeles, I have seen so much beauty turned to stone. So much light turned to darkness. So much faith turned to cynicism. So much hope turned to devastation. 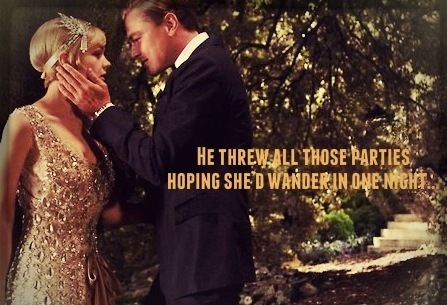 In the film, Nick Carraway often speaks of the hopefulness that Gatsby obtains. He held onto his hope for love, even in his last moments as he waited for Daisy to call him. Gatsby threw all those lavish parties, had that enormous estate, and subdued such an extravagant lifestyle simply because he wanted to capture the admiration and affection of Daisy, the woman he so dearly loved. She says this because her soul is aching, her heart is saddened, and she feels that now she knows too much to be happy. When you’ve seen it all and experienced it all, what happens when you’ve got nothing bigger to live for? There is a desire and longing in all of us to love and be loved. This desire is God given and wonderful. However, this desire can’t be fueled by seeking and attracting love by only our money, bodies, sexuality, or exciting parties. Why? Those things fade. Beauty is fleeting. Charm is deceptive. Our fear, respect, love, and dedication to God is what can train these desires to manifest in a healthy way. When I was so wrapped up in my body, consumed in myself, and insecure, I never allowed anyone to love me. Now, filled with God’s truth and love, I am happily engaged to a man I will grow old with. I’m so looking forward to growing old with him. Because our love for each other and for God is so much deeper and stronger than any makeover, bank account, or mansion. This Twos-Day (two are better than one), remember to seek and attract beauty that is true and eternal…the beauty that is truly Christ-like. 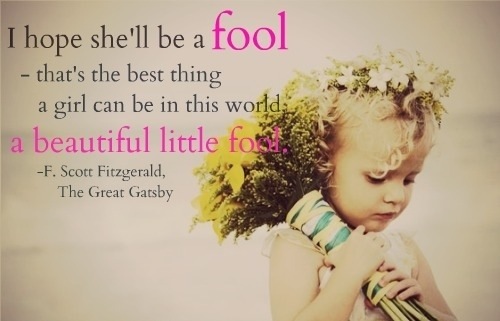 Don’t be just a beautiful little fool. Previous postTravel on a Budget: My Memories Are Free!